It comes from the north, it dives and I reckon it’s pretty great. 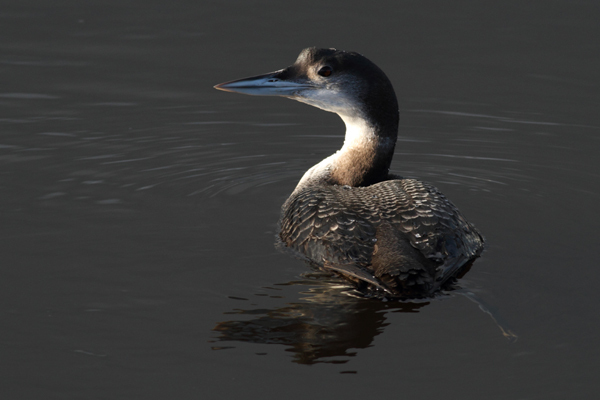 It is of course a Great Northern Diver (or as it is known in America Common Loon). There are three species of diver seen regularly around the Irish coast, the Great Northern, the largest, the Red throated, the smallest, and the Black throated the least common of the three. Add to these the very rare occurrences of White billed Diver and Pacific Diver which you would have to be very lucky to see. Normally these divers winter out on the open sea or in our sea loughs, such as Strangford, but occasionally we are afforded closer views when these birds discover food in the harbours around our coast. Often the birds will come in to avoid the worst of the winter storms and find it an easier life to move a little closer to humans. One such bird moved into the Ballycastle Harbour earlier in the winter and I have slowly been getting it accustomed to my presence in the hope of getting some interesting shots and just to watch it’s behaviour. The approach has worked well, though in recent weeks with more calm conditions I haven’t seen it in the harbour as often. Occasionally a second bird would join it, but it was more timid and left when anyone was around. For a time, on an almost daily basis it would swim into the harbour and dive amongst the moored boats to catch crabs, before bringing them to surface to eat. It thankfully is a much more successful hunter than the kids with baited lines who occasionally try their luck from the harbour walls. Whilst some birds breed in Northern Scotland, where I have been lucky enough to see them in their fine summer plumage, most breed in North America, Greenland and a few thousand pairs in Iceland. 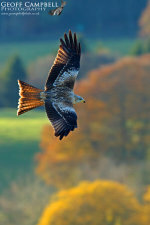 So after the next storms why not have look around some of the harbours for one of these fantastic birds.